I hate when stores start Christmas preparations as soon as back-to-school stuff is put away. But if you want to make the easiest homemade vanilla extract as a lovely foodie Christmas gift or to use to make your homemade Irish Cream truly from scratch, you’re going to have to start in August! Luckily I have a faster way, that also happens to be WAY less expensive – score and double score! 10 minutes to order supplies, 15 minutes to prepare the extract supplies, 10 minutes to heat the vodka, 5 minutes to do dishes, a few seconds per day to shake jars, and another 10 minutes to fill and label your little bottles. Considering it costs less to make a half gallon of homemade vanilla extract as it does to buy 16 ounces or so of the good stuff in a store, you’re getting “paid” a pretty awesome hourly wage. If that’s not enough motivation to make your own, read the ingredients on your bottle of vanilla. Chances are, unless you have a superbly excellent brand, there’s some weird additive or a corn sweetener in there (high fructose corn syrup, dextrose, etc.). 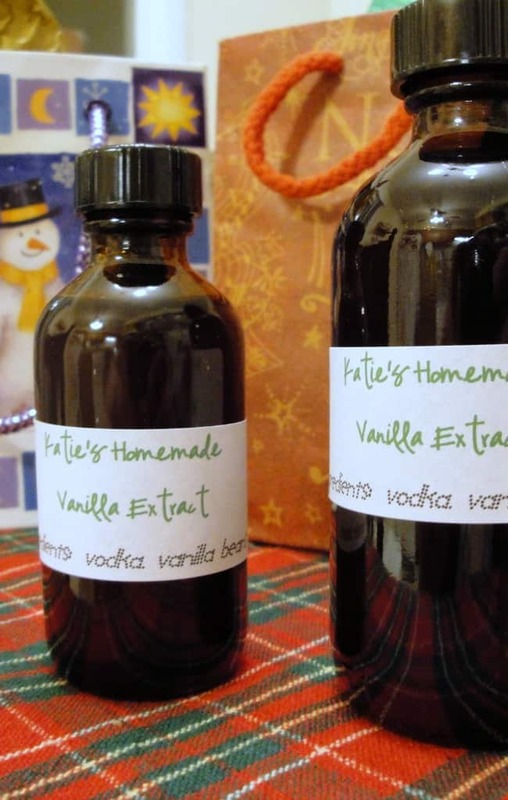 Your vanilla will have two simple ingredients: vanilla beans and vodka. Done. But which to use? I say go frugal and use as few as possible…If you warm up the vodka you can use as little as 1 bean per 2/3 cup alcohol!!! Frugal and faster. Oh, yes! You can also put your jars in the sun on warm days to speed up the extraction. Make sure your materials, especially the jar for extraction, is as clean as can be (running it through a dishwasher on hot with heated dry should do it). You don’t want to risk weird stuff growing in your vanilla, since it will be sitting at room temperature for perhaps years. Count out your beans: 6 beans for a quart, 12 for a half gallon. Feel free to toss in a few extra for stronger vanilla. It can’t be too strong if you love baking! Cut the beans lengthwise with a sharp paring knife and scrape out the seeds, using all of the parts in the alcohol. Snip the beans lengthwise and in half with clean kitchen scissors. Just snip the beans into smaller pieces so that they are totally immersed in the vodka and not sticking out the top. Any of the methods work, but some believe that the more you open up the vanilla beans, the higher quality and flavor your finished product with have. Heat the vodka until just warm (don’t boil it). On the left is about 2 cups bourbon with the beans (an experiment), and the half gallon of vodka is quite unattractively on the right. I cut those long beans sticking out of the vodka after I took this picture. Everything should be submerged. I tried bourbon based on this recipe, although I’ve since learned that the fancy “bourbon vanilla extract” you can buy isn’t named after the alcohol but the type of vanilla beans. Both of them worked fine, and I ended up just mixing them together for storage after giving away the Christmas gifts. Store it. 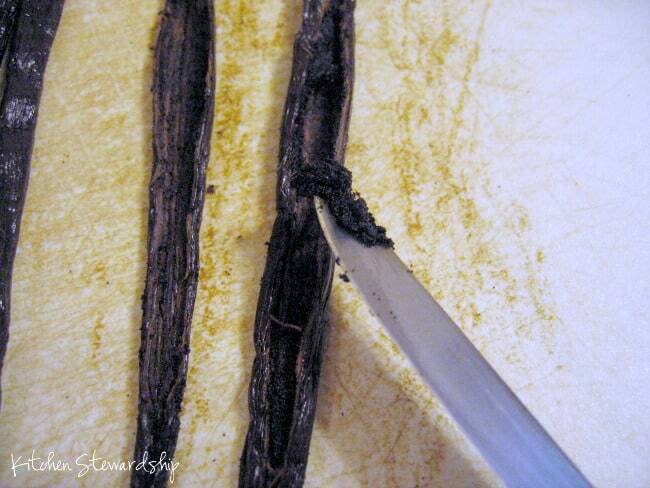 Most sources say to store the vanilla in a dark place, away from direct sunlight, while it’s extracting. I chose to put the jars in a low cupboard; some simply use brown bottles instead. Jodi actually put her little bottles IN direct sunlight, and the extract worked out just great, so it seems that this is a difficult recipe to mess up! Check out her beautiful photography of the process. I wonder if, like adding heat to the vodka, sunlight might speed UP the process! Shake it! For the first two weeks, try to remember to shake up your bottles or jars every day. After that, give them a good shake once a week (or whenever you bump into them in the cupboard). If you forget…it all still seems to work out. Lovely recipe, really. Use it! After two weeks, you can use your vanilla extract. If you have four weeks, I’d try to wait that long before bottling it for gifts. The vanilla won’t really get any darker after 3 months. (Regular extract recipes take 4-6 months to be ready!) You can leave the vanilla beans in the vodka indefinitely and just pour off what you need for baking from the big jar or refill a smaller jar. Here’s your one-stop shopping mall! Vanilla beans: The best option per ounce that still felt affordable at all that I found as of 2/26/17 was this 1/4 pound package from Frontier via Amazon, with this interesting package of 4 different kinds of beans a close second. Of course check all of Amazon’s prices, too, as they fluctuate a lot and add new products all the time – keep in mind that vanilla is expensive! 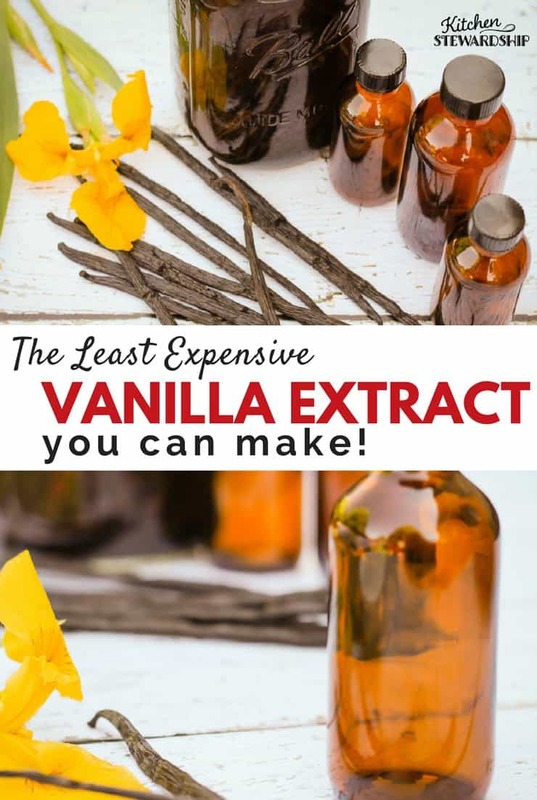 The vanilla beans might give you sticker shock, but you’re still saving a load of money with hardly any time investment, and like a nice bottle of wine, a bottle of vanilla only gets better as it gets older. Vodka: 1.75 liters from your local grocery or liquor store. 2 and 4-ounce amber bottles: Specialty Bottle has great prices and decent shipping. Try to get a friend to go in on a dozen with you. Two ounces is very small (for acquaintances) and 4 ounces is more appropriate for people you love. 8 ounces for people you really love who bake a lot! Labels: grab some basic mailing labels at your local office supply or try these cute ones from Amazon: small fancy shape labels, waterproof white labels (made for essential oils so you’ll have a bunch of tiny circles too), large scuff-resistant labels made for water bottles (I can see these being great for labeling quart jars). Just make cute labels with a colored font using your word processing program. Simple, and nearly free. What do I do when it’s Finished? Ta-da! Now you’re ready for Christmas! What’s your favorite vanilla recipe? 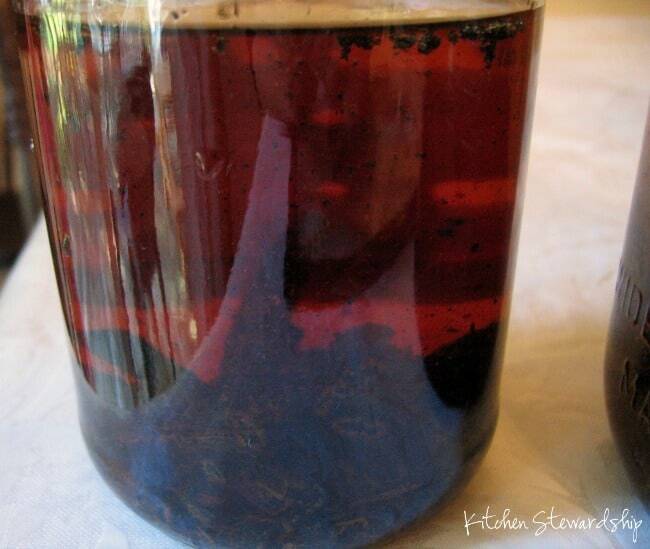 Have you ever made homemade vanilla extract? I have some of this that I started last winter. It just became usable and it is totally worth it! I also have a bunch of mint in my garden (even I can keep from killing that…) and plan to make extract from that. From what I’ve been reading, it doesn’t take as long as vanilla to extract so it’s ready after a month or something…anyway, thanks for your post! I just started some mint extract as well. I read that it’s better to use dried mint – have you heard much on dried vs. fresh? I also started some lemon extract as an experiment. Know anything about that? I’m doing this! I started mine in May. Since we live in Kentucky, I used Bourbon. I hope my friends and family are as excited about this Christmas gift as I am!! Has anyone tried making almond extract? That’s the other extract I use a lot. Thanks! I should perhaps be more specific – I’ve done some googling and there is a whole sweet almond vs. Bitter issue and the issue of cyanide. Haven’t searched exhaustively, but I haven’t found anyone who seems to have tried their recipe or what they thought of it. Has anyone made almond extract and been happy with how it turned out? I just pry the plastic pour spout off the alcohol bottle, put the chopped beans in, put the pour spout back on, and let it sit. I use it straight from the vodka bottle and the spout keeps the beans in. If I get a few flecks I’m ok with that. This is the exact same method I use LOL! Works wonderfully well for me. What a great idea ! I was going to go buy a glass jug at Cost Plus. You just saved me $7-8 plus gas. Thanks !!! The recipe I was following called for 1/2 pound of vanilla beans for 1.75 liter bottle of vodka. I think there were 60-70 beans in the 1/2 pound package I bought. I couldn’t find a glass 1.75 liter bottle so I bought 3 .75 liter bottles of vodka at $5.99 each. I had read that 1/2 pound of vanilla was more than enough and you can use much lesss than that so I split my 1/2 pound of beans into 3 piles. I will end up with 2.25 liters instead of 1.75. Hoping there will be plenty of strength of flavor. I warmed the vodka as I read somewhere above to speed up the process. Since I had 3 bottles, I prepared the beans 3 different ways to see if there is any difference. Bottle 1 I cut the beans in half so each piece was about 4 inches, I split the beans open and scraped all the seeds from the inside and then placed the beans and seeds in the empty bottle. The vodka was warming on the stove. Bottle 2, I cut the beans in half, slit the beans open but didn’t do the scrapping. I opened the beans and dropped them in. Bottle 3, I cut the beans lengthwise so the middle was exposed and then cut them into maybe 3/4 inch sections. It will be interesting to see if there is any difference. Bottle 2 was easiest on my hands. Good luck ! Love this idea Katie!! I’m going to research some other easily made extracts and make a little basket for everyone! I learned how to make vanilla from Cook’s Illustrated a few years back. I still follow their method. I heat the vodka just until warm (don’t boil) and use one bean for every 2/3 C vodka. I pour into canning jars. The added heat makes the process go very quickly so that in two weeks it is redy to use and usually gets no darker after say twelve to fourteen weeks. I make this every other Christmas as gifts. It might also go so fast because I use pint-and-a-half jars. Yes, I’ve been making home made goodies, including vanilla, for decades. Thank you for the links; those are greatly appreciated. Wow, thanks for the great idea, Katie! I’d decided to make gift baskets for Christmas this year, and this will be a perfect addition! Love the heating idea, too, Melissa, so as to shorten the time a bit. I’ve made several herbal tinctures, and I always keep the herbs in until the liquid’s about gone… really increases the strength after a while. I make mine with Brandy – and buy the vanilla beans at Mountainroseherb.com. Delicious. I, too, purchase our vanilla beans at MountainRoseHerb.com. Much less expensive – and worth it! Plus, it’s in the same state I’m in, so they come in the mail quickly. For gluten-free bourbon vanilla, just make sure to purchase bourbon made with potato mash instead of grains. You can do that with quite a few alcohol options – choose potato mash or ask for something that isn’t made from grains. How many bottles does your recipe make? I’d love to do this. However, in Canada, Amazon sells two, yes t.w.o. vanilla beans for $8.50. Before shipping. Meaning my version using 54 beans would cost $229.50, before shipping and without the alcohol. Not happening. I have never looked at Amazon’s price before, but I can get mine at the local health food store for $3.99 each and through a grain reatiler for about $1.25-$1.50 (they are sold by weight). They are very pricey and $230 IS too much to absorb for me, too. You might consider looking around to see who sells whoge grain and grain mills and see if thye can order these for you for a better price. My source is only a 45 min drive but when she is in my area, she delivers. It also a good way to support your local economy. As for the alcohol, I buy the cheapest of all vodkas and I also use it for cleaning and washing windows. It is crazy cheap and a little embaressing to buy but works great though it will smell like hand sanitizer before it is prepared. Have to be in town tomorrow, so will check the health food store, but unfortunately, all their advertised prices have not been anywhere near low enough to entice me there before now. I know the grocery stores sell the beans, but they are two beans in a glass test tube like vial, and last time I checked they were about $10. There is no grain retailer within several hundred miles of here – interesting, because when I was a kid, we actually had a wheat field…. I’ll comment again if I find anything affordable. Otherwise, assume that I just got the vodka and am “drowning my sorrows”, lol! Not really! Please check out Ebay. I bought mine on there quite a while ago for a great price..just can’t remember how much right now. Amazon has great prices, too, with great reviews. 1/2 lb beans can run as little as $25 + shipping. Amazon.com won’t ship non-book things to Canada (last time I tried, anyway). Ebay.ca has some good deals, but you can’t go by the number of beans because the length of bean varies. You have to ask the seller how many beans per pound to compare prices. Thanks for this great idea Katie! I am looking forward to doing this with my 6 and 9 year old daughters. This is getting too funny. 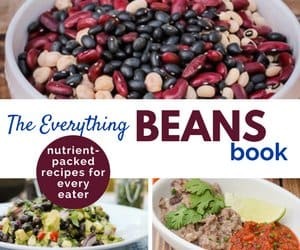 I have finally found a Canadian source for the beans at a little more than the US Amazon price, but will have to pay $7 shipping to get it from one coast to the other. So then I got all excited about this and asked my DH how much cheap vodka would cost. Alcohol is not sold in grocery stores here, I can’t remember when I was last in a liquor store and being preoccupied with vanilla beans, didn’t think to stop while in town this morning. Insert sound of bubble bursting here. He figures about $18 for a 26 oz bottle. Sooo, I’m probably going to order the vanilla beans, go to the liquor store myself to check and if DH is right about prices, ask my snowbird neighbours if they will pick up a bottle for me when they are in Arizona for the winter. If that’s the scenario that plays out, I might be making this in late March. Next year. And I will keep it ALL. For any other Canadians, the Vanilla Food Company has the beans, and stock up on vodka when you cross the border! 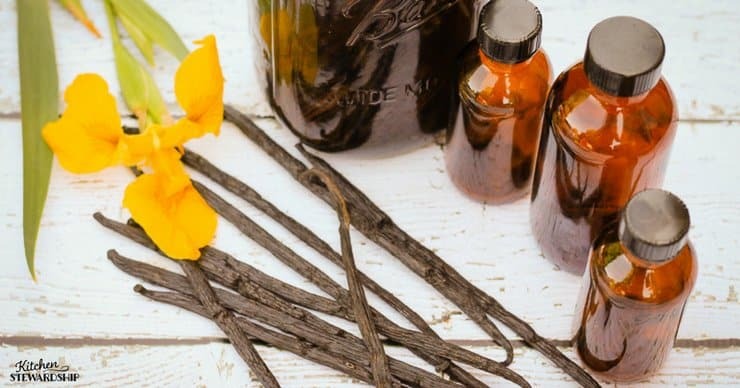 Sounds like MountainRoseHerbs.com has vanilla beans much less expensive than Amazon! But I don’t know how that would all play out with the shipping to Canada. It might be worth investigating, though. Just got back from checking the liquor store. $55.61 for 1.75 l of the cheapest vodka in the place. A 238 ml bottle (about 7/8 cup) of generic “pure” vanilla is $16.98. I’m considering a career as a distiller. You know, in the bush somewhere… I could use organic potatoes, retire in a week and a half… Meanwhile, I’m going to have a chat with my neighbour. Thanks for the post and to everyone who offered a suggestion – it has been entertaining at the very least. I don’t know about the shipping to Canada, but I get mine from Olive Nation…beautiful beans…and I think there’s still a discount for them on the Heavenly Homemakers website…and holy cow that’s a high price for vodka! I pay about $20 for 1.75L here in TX! Where do you live in Canada?? My friend lives in Camlachie Ontario which is about 20 miles from the Sarnia/ Pt. Huron crossing. We exchange thing back and forth all the time. I just found a recipe for lemon extract using lemon peel without the pith in vodka. Wouldn’t you know. Sounds like it is time to do a bit of genealogy for an excuse to come to the states!! That’s what I do with the rest of my computer time! Is thereanyway that you know fto make clear vanilla flavor? Neat idea! And I loved reading through all the comments to see how others do it too. I watched a documentary about vanilla beans once – they are amazingly difficult to grow. It has to be the perfect environment and they have to be hand pollinated at the exact right time. It helped me apreciate why they are so expensive. Great that you can make them go further with this recipe. That ebay link gives a bonus of 1/4 lb with the purchase of the 1 lb, making it 1 and 1/4 lbs for $31 — even better. This is what we did too! We even used dried out vanilla beans that weren’t good for anything else (they had been stored improperly). Made beautiful vanilla extract just dumped into the bottle of rum. When it gets about 1/3 empty, add more alcohol and shake. We made mint extract a while back too. Bought a cheap bottle of vodka and dumped in as much chopped fresh mint as I could get (we have a mint plant). I buy most of my herbal products at Mountain Rose Herbs in Eugene, OR – great quality, great customer service. The 4 oz vanilla bean product is usually plenty for my needs. So for $72 + shipping/handling you can get 96 – 144 vanilla beans. Shipping from Oregon to Florida usually costs me anywhere from $21 to $36 depending upon the size and weight of my order. (For ex: the $21 shipping fee order contained #15 of herbs – the $36 order contained #29.) I know it isn’t just the weight but also the size of the boxes they send that determines the final fee, and, of course, it’s more for Canada. 96-144 vanilla beans would do GALLONS of vanilla! You truly can use only 6-8 beans per quart and it works deliciously and is much more economical. Plus, they can be reused again for a second or third time. The third go-around, you might want to add a couple of fresh, newer vanilla beans to the mix, but the older ones are still good! I am going to have to try using the rum next time I make vanilla. I tried the burbon last time and all agreed they like the vodka much better…the rum sounds good too. Ho Dear I´m in love with your recipe, I´m going to the Kitchen to find some kind of alcohol because I have a few vainilla beans. I´m from Spain and love your blog. Iupi! Thanks Katie. It is starting to smell good and has been just 1- week…. Now to get some bottles. I am going to ask our pharmacist if I can purchase some…. Thanks again. Do you strain out the seeds for a reason other than looks? I started mine in early April (holiday gifts) but wasn’t planning on straining it before bottling. I was going to use the leftover beans for vanilla sugar to go with the extract. I just found this great idea, I love it! Unfortunately, it’s after Thanksgiving and would love to give this as Christmas gifts THIS year 🙂 Has anyone ever done individual bottles from the start? I don’t need to make a ton of them, probably 15 4 0z. bottles. I would just give instructions on when it will be ready to use, but basically give an in-process gift. Too tacky?? I started mine last week!!! It’s looking good!!! Me too!!! Mine should be ready in November sometime! I’ve been wanting to try this. Better get a move on for Christmas! This is on my list as we found some random vodka in the house. Thanks for the reminder! I have been planning to do this since the last time I saw you post about it, but I have major pregnancy brain right now. Beans are ordered and I’m adding up the number of bottles I need. My friends and family will thank you when it comes Christmas time! Random vodka…there’s something about that that’s cracking me up, Random Recycling! So, there was a sale on rum today and I headed out to pick up a gallon for this recipe. You get interesting looks when you walk into a liquor store 8 mos pregnant with 3 little kids. 🙂 Needless to say, I decided I need to explain what all the rum was for…. I bought my vanilla beans from Olivenation, they offer free shipping on the beans plus I used a % off code that HeavenlyHomemaker shared. I know i’m late to the game here, but when i look at my bottle of pure vanilla extract from McCormick, it says, “vanilla extractives in water and alcohol (41%). are the “extractives” the additives you are talking about?? Thank you!!! I am really wanting to do this. I started doing this last year when you posted this, and have never looked back. Can’t believe it’s this easy. Yay – thank you! Have this on my to do list forever, wasn’t sure where or how to order beans! Ordered & excited to make it! I have vanilla steeping on my counter now…and I plan on reusing the beans to make a 2nd batch that should be ready by Christmas! I dont drink and never buy alcohol went to buy vodka today for making vanilla, and was told it was Sunday I could not buy it. LOL Oh boy did I feel stupid, worked up the nerve to buy it and now I have to do it all over again! I just bottled two gallons! Do you have to use a separate bottle? Cant you just put the vanilla beans in the vodka bottle? 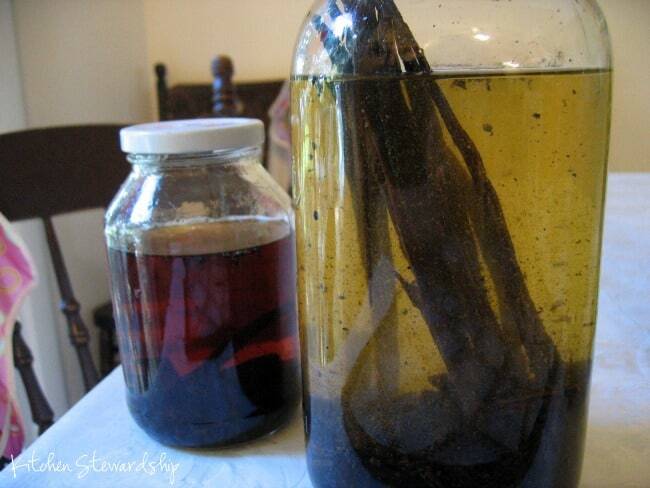 Sheril, I put my vanilla beans directly into the rum bottle when I make my extract. :-) Works just fine!